Family farm at its finest! I lived all my life in Delaware, but never visted Fifer Orchards in Camden, Delaware until three years ago, when I began to assist with a University of Delaware course, Understanding Delaware Agriculture, taught Mark Isaacs, the director of the Carvel Research and Education Center where I work. 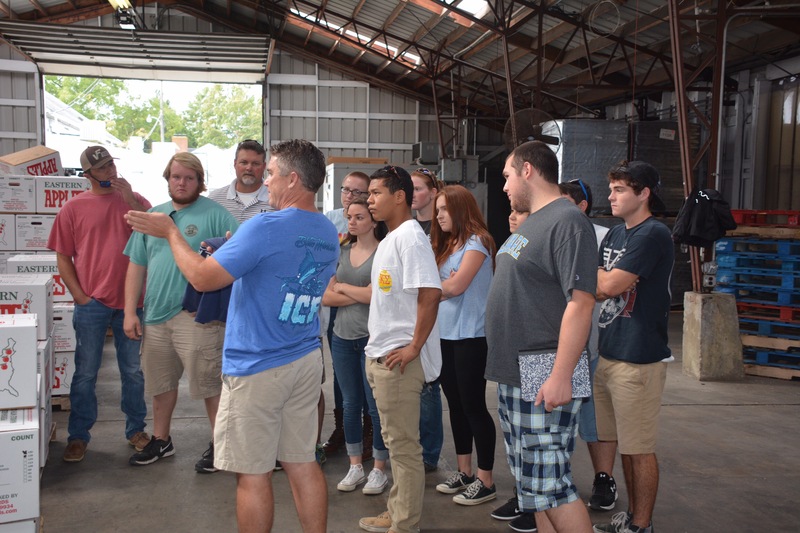 When the course began in 2014, Isaacs included four field trip tours to show to students the diversity of careers and businesses within Delaware’s large agriculture umbrella, and moreover, to meet and network with the owners and managers of the businesses. Despite an early Saturday wake up time, the tours were well-received by students and have remained as part of the class schedule ever since. Fifers was one of the stops, an ideal family-run business encompassing four generations of family farmers, a fresh market wholesale business, a robust agrotourim location, a fruit orchard, a retail market, a CSA (community supported agriculture) subscription offering, all managed with a keen understanding of the importance of traditional and social media outreach. Despite descending on them during one of their busiest seasons, the Fifer family welcomed our bus of UD students, taking the time to host tours of their fields and facilities, answering questions and sharing the challenges and rewards this forward-thinking family encounters every day in managing their farm. Fifer Orchards tills approximately 3,000 acres in Kent County, all for the fresh produce market. The move away from growing for processers was a deliberate one, requiring the family farm to invest in the additional cost of labor needed for the hand harvesting required for farm-to-market. Fifer’s largest crops are pumpkins and sweet corn. An early adaptor to voluntary Good Handling Practices (GHP) and Good Agricultural Practices (GAP) which focus on food safety, Fifer Orchards was well-positioned to supply major national retailers who require stricter food safety guidelines from growers. Fifer’s is currently underway to achieve a global food safety certification. 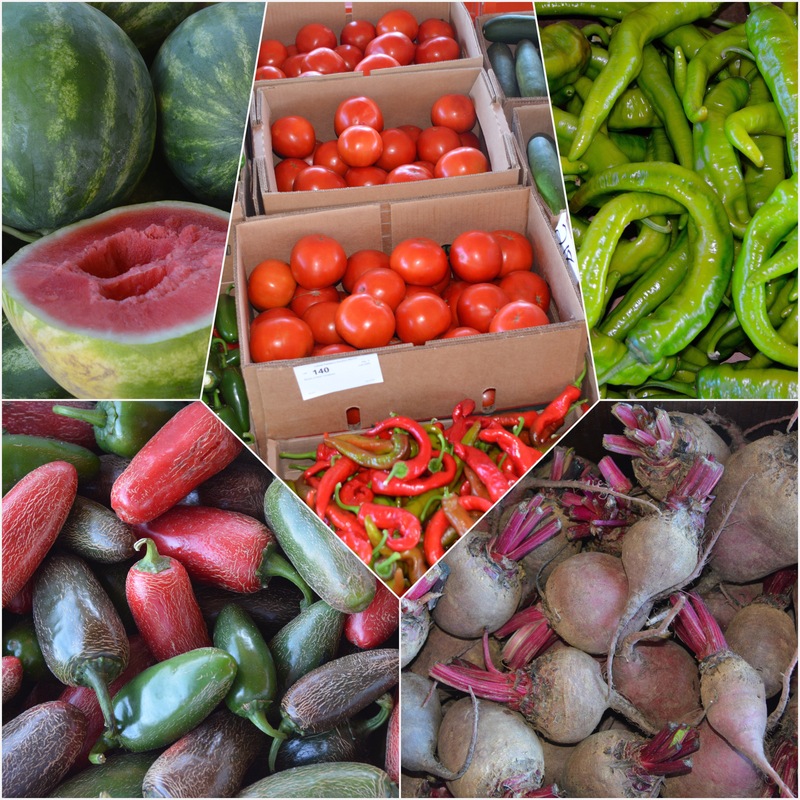 Local wholesale to regional roadside farm stands, distributors, and CSA’s such as Greensgrow and Norman’s Market. In addition to corn and pumpkins, and their traditional orchard crops of peaches and apples, the Fifer family experiments with a wide variety of crops that fill in the gaps after tradtional crops are harvested. This enables their contracted labor to remain on the farm and rely on steady employment across what Fifer’s have designed into their increasingly extended growing season. Certain crops, such as weather-dependent strawberries, are hit and miss. Fifers changed from growing tomatoes directly in the field, moving to high tunnels. The move allows Fifers to offer tomatoes earlier than any one else in the area. The family meets regularly to evaluate what crops should enter into a trial as a possible hedge against another crop not performing as expected. They keep a close eye on market trends and consumer interests. The move to supply to the fresh produce market, both via wholesale and retail, recognizes the public interest in buying and eating local food. 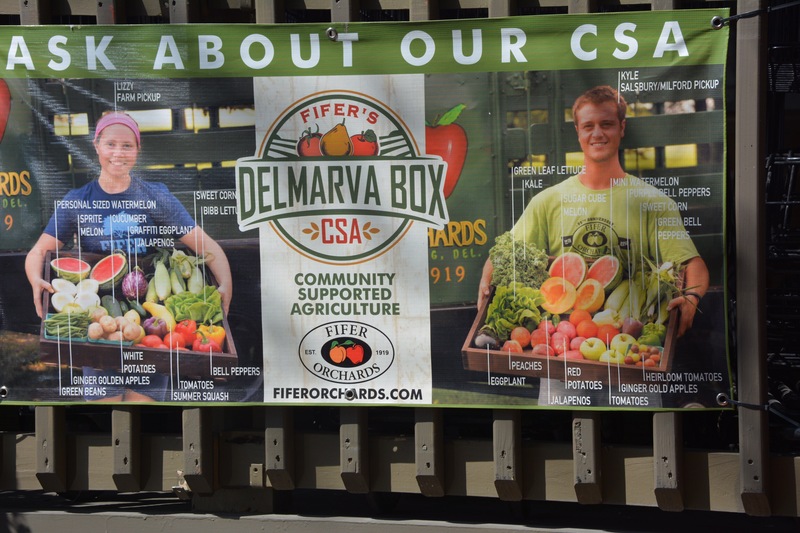 The success of their CSA subscription program, the “Delmarva Box” is a result of the trend toward the local movement. Subscribers of the spring/summer and fall Community Supported Agriculture club receive regularly scheduled deliveries of a box, loaded with seasonal goodies from the Delmarva region. Fifer’s supplies what it can, and includes other local niche produce or local value-added products to round out the offerings. “We try to include things they aren’t expecting, or may not see in their grocery store,” says Bobby Fifer. “We will include information and suggested menus for that item.” Different subscription packages are available. Agrotourism plays a large role and is a popular destination for families, particularly during autumn. Six Saturdays in the fall are devoted to Fall Fest, and children delight in the corn maze and other amusements. Fifer’s retail store is inviting. Interior aromas to die for, and outside in the late summer and early fall, an array of pumpkins and specialty pumpkins and gourds will dazzle the most discerning of home decorators. 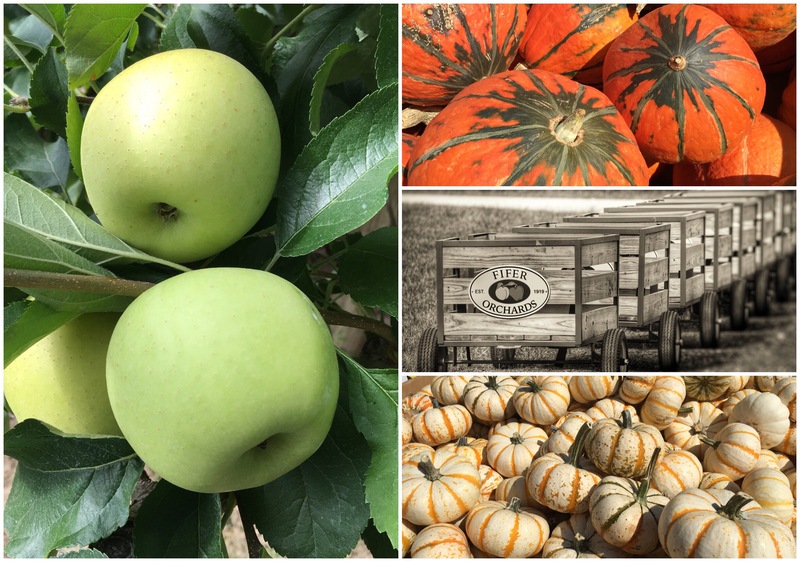 The agrotourim outreach, managed by cousin Michael Fennimore, enjoys a superb and responsive social media presence on Facebook, Twitter and Instagram (@fiferorchards). Follow them! You won’t be sorry! 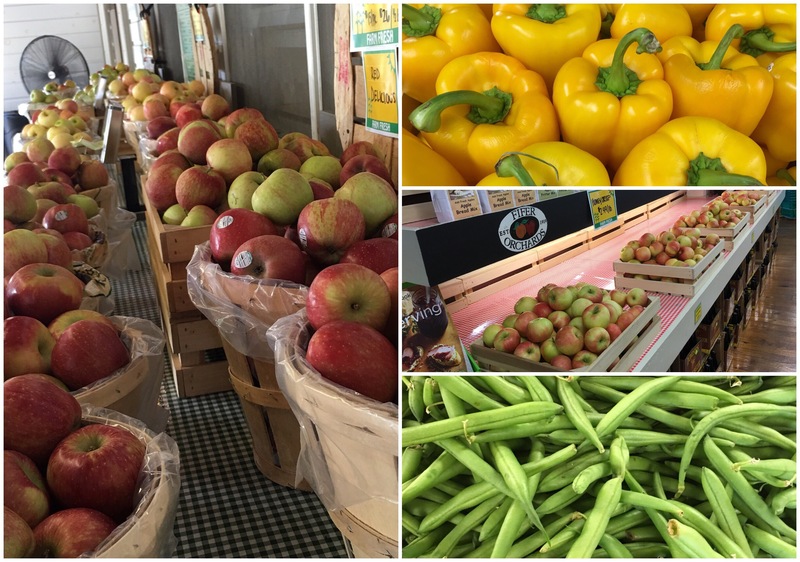 Fifer Orchard also has seasonal locations in Dewey Beach and at the Historic Penn Farm in New Castle, Delaware. Tradition. Family. Forward thinking. Connected to the community. These elements and much more are why Fifer Orchards has expanded and grown to serve consumers who want safely grown and harvested fruits and vegetables, and a community who craves local sourced food. 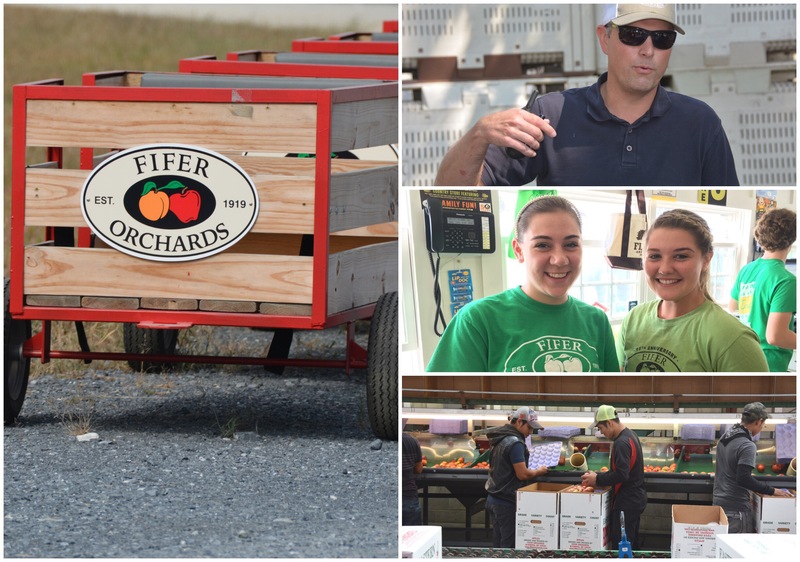 Employing both local and contracted labor, Fifer Orchards contributes to the Delaware economy, and offers to the Delaware community, a lasting, wholesome experience you are not soon to forget. Thank you for sharing the great behind the sceens look at Fifer Orchards! Natalina Sents wasn’t ready for a cubicle job. 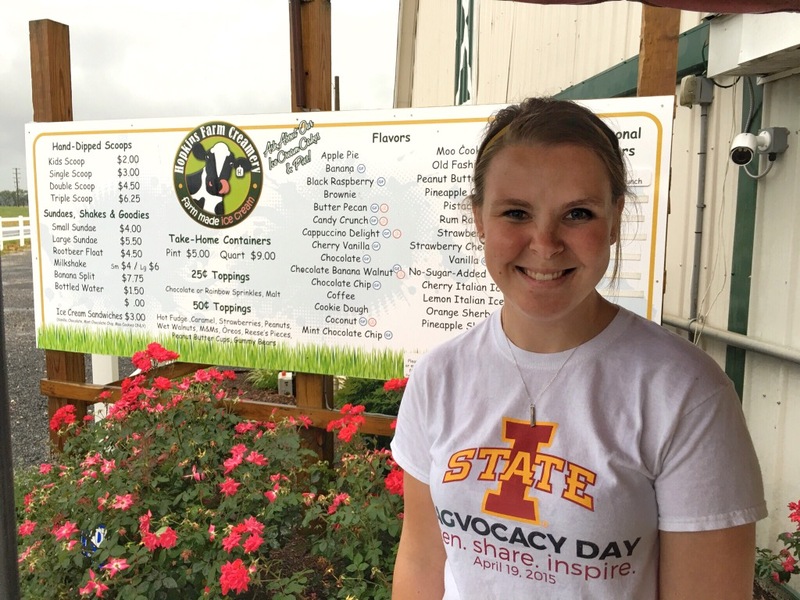 When Sents graduated this May from Iowa State University with a degree in agri-business, she approached Beck’s Hybrid, a regional retail seed supply company with an idea. In the summer of her junior year, Sents interned with Beck’s and returned to share her vision to embark on a 50-state agriculture road trip, recording farmers’ responses in each state and celebrating their reasons for “Why I Farm.” Beck’s loved the idea to advocate for agriculture and agreed to sponsor and provide a platform for Sent’s journal of photos and interviews on their Why I Farm website. The First State was Sent’s ninth stop on a tour she estimates will conclude in May, 2017. Active on social media sites, Sents shared her vision on Twitter chats such as the weekly, national #AgChat, and through her network, earned an invitation to tour the University of Delaware’s Elbert N. and Ann V. Carvel Research and Education Center in Georgetown, which serves as the College of Agriculture and Natural Resources primary agronomic crop research farm. UD’s farm will be the first land grant farm featured on Why I Farm website. Sents had informally visited research farms before, but the Carvel Center’s 344 acres of research plots was her first official guided look at how a land grant ag experimental station works. Brian Hearn, farm manager at Carvel served as host, driving Sents slowly through the various variety trials conducted by UD faculty and Extension researchers. “I think it is really cool to see how you are testing the practices, breeds and technologies that will become mainstream in your state and help farmers do their job better, improve efficiencies, profitability and help farmers keep up with environmental standards,” Sents said. As Hearn navigated Sents through numerous research plots, he shared the unique rewards and challenges of managing an ever-changing research farm. 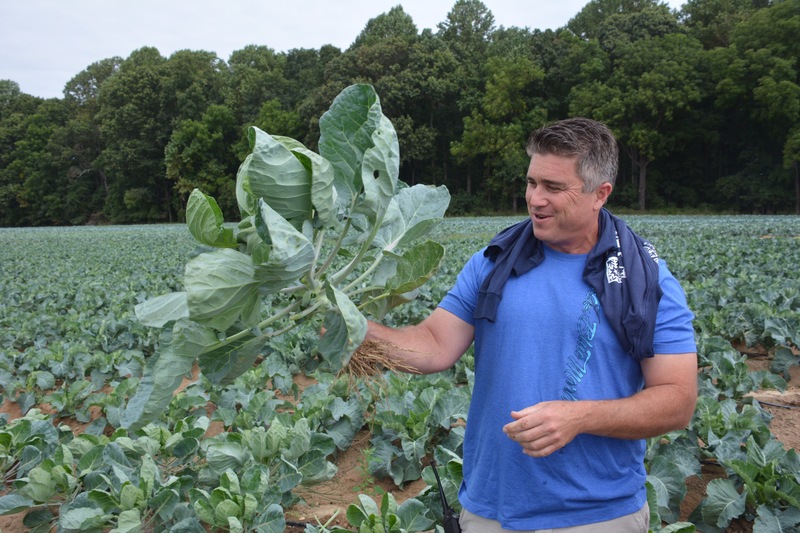 Click here to see Sent’s interview with Hearn and why he farms. No stranger to vistas of amber waves of grain and lush corn fields, two scenes prompted the Iowa native to request a stop and jump out of the UD pickup truck for a closer look. Sents found UD’s combine, hard at harvest work, and scaled to better fit smaller plots, a curiosity. “They’re much bigger where I come from,” she observed. Seven rows of blueberries belied another personal inspection. 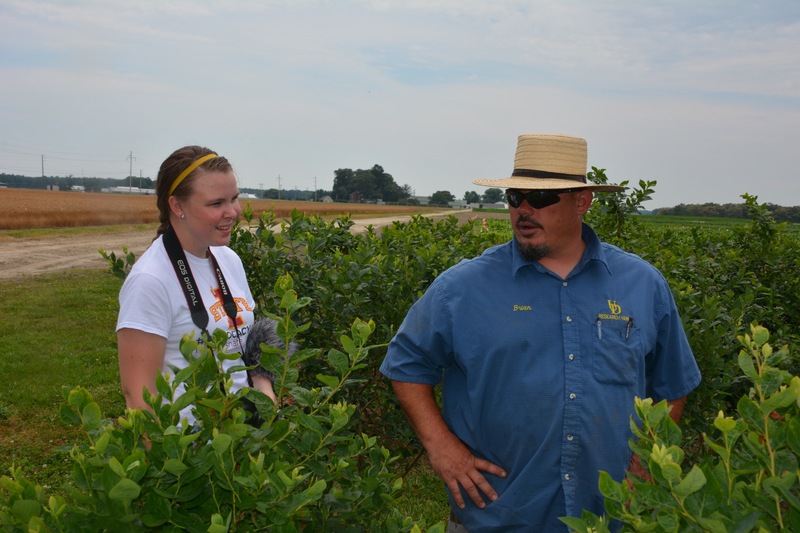 Hearn explained that the 400 blueberry bushes grown are part of a variety trial conducted by Extension Associate Scientist Emmalea Ernest and will help researchers determine which varieties of blueberries might be suitable and recommended as an alternative crop for Delaware farmers to consider. Many of the bushes were sporting ripe blueberries and with a nod from Hearn, Sents happily sampled her first of the season – photographing the small handful of the tiny sweet, blue globes before savoring them as an afternoon snack. “If I had known about these, I would not have had lunch!” Sents exclaimed. On the road, Sents tries hard to eat healthy and locally, stopping at fast food restaurants only for the free wireless and daily caffeine treat. Her lime green Ford Fiesta is packed to the gills in organized precision, and serves as her mobile office and closet to go. Sents plans her schedule approximately a week or two in advance, carefully budgeting her stipend by staying with friends or AirBnB locations. On average, Sents stays about one week in each state. 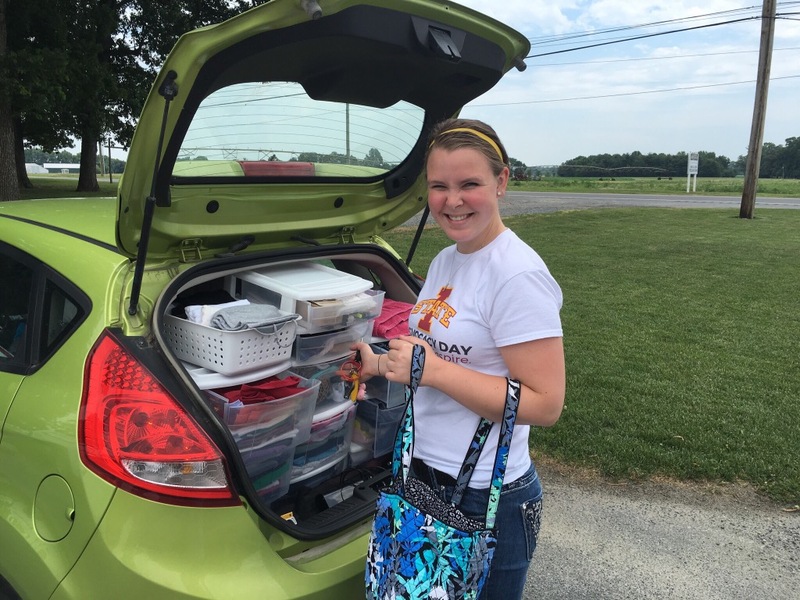 Although she spent only two and a half days in Delaware, it was loaded with a week’s worth of experiences. In addition to her stop at the University of Delaware, Sents visited Walter Hopkins, owner of Green Acres Dairy Farm in Lewes, Lavender Fields in Milton, attended the Georgetown Farmer’s Market and other locations. 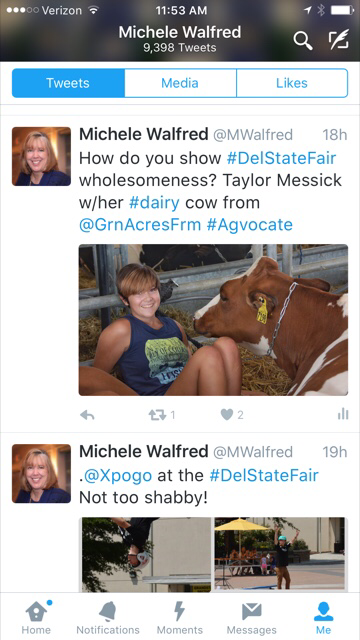 She appreciated how all her Delaware stops enjoy a loyal local and visitor following, a result of engaging with the community by promoting their locations and products as Agritourism locations. Agvocating includes the tough job of sampling all the products! 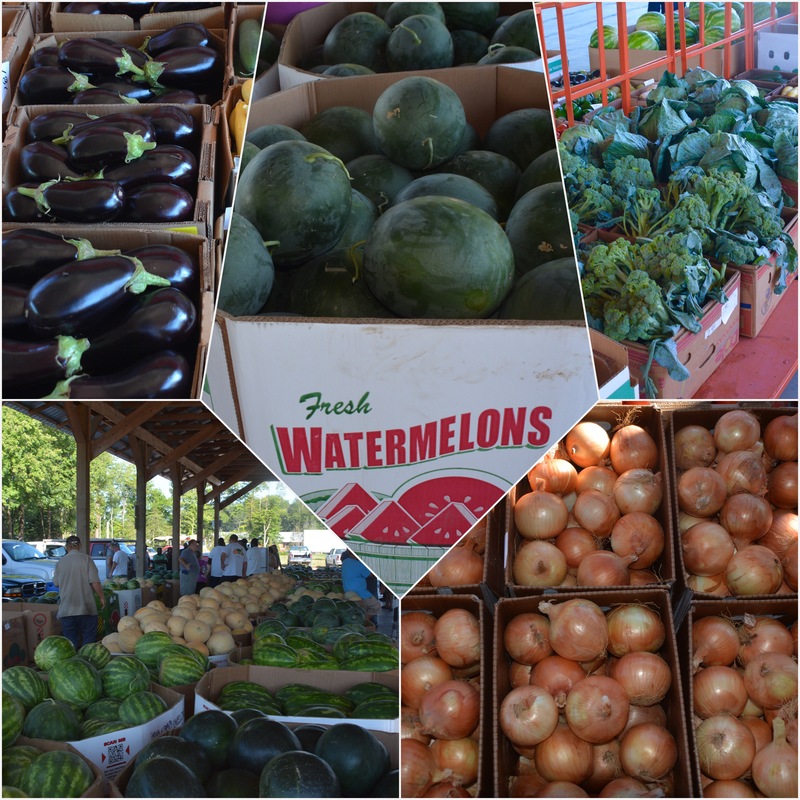 Sents marveled at Delaware agriculture offerings, from melons, to lima beans and chickens. 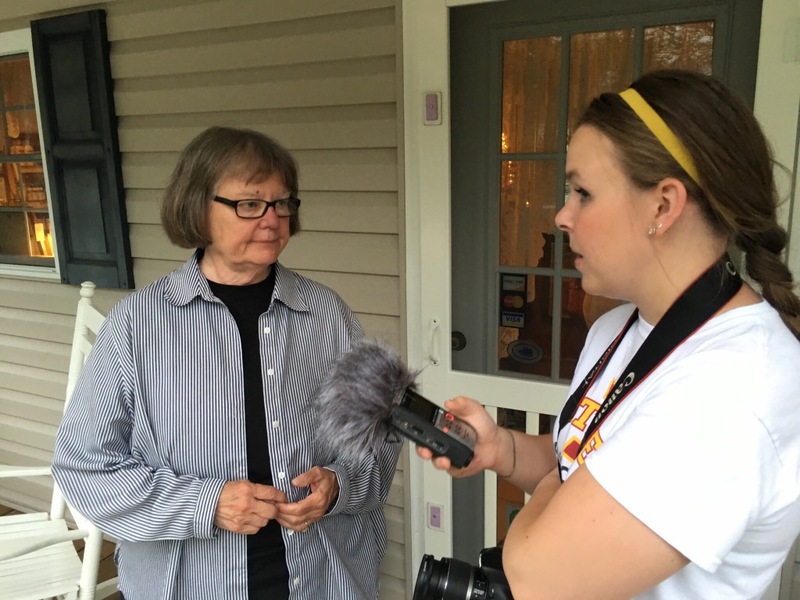 “Coming from Iowa, I’ve experienced more crop diversity here than back home,” Sents said. Sents still has a way to go before reaching all 50 states, but in advocating for agriculture, many commonalities among farmers have emerged. Follow Natalina Sents on Twitter via @Roots_journey and the #WhyIFarm hashtag. I took this picture of Taylor Messick, a 4-H member of the Hollymount 4-H Club in Lewes, Delaware at the Delaware State Fair on Friday, July 29, 2016. Tempretures all week pushed into the high 90s, only made worse by Delaware’s infamous humidity. Attendance at the fair was down. The heat was oppressive, keeping visitors away. While attractions and fair vendors vied for attention from a sparce public, young 4-H’ers preferred keeping company with their livestock, in this case dairy cows, on loan from Green Acres Farm in Lewes, Delaware. 4-H’ers rose to expectations higher than what was climbing on thermostats. Seemingly oblivious to the sweltering heat, 4-H’ers like Taylor tended to their responsibilities with aplomb, carefully changing out and replenishing bedding, keeping the water fresh and the fans blowing, grooming and cooling down their four-legged friends. What was good for the goose was good enough for the gander, and for 4-H youth throughout the fair, they walked the walk and happily hung out and napped with their Holsteins rather than strolling the fair grounds with friends, or keeping cool in an air conditioned family camper. The look on Taylor’s face says it all. Unscheduled and spontaneous, this photo depicts our young 4-H members who prefer to keep company with the cows they care for, and the animals they have learned to love and respect. Theirs is a responsibility taken seriously, but with much enthusiasm and joy. Even in oppressive heat. This face is the future of Delaware agriculture! Drawing from my personal observations, farmers don’t like social media very much. When I mention Twitter, Instagram or Facebook, I see a lot of eye-rolling. I faced my fair share of arms tightly folded across chests while I extoll the virtues of Twitter. “You mean to tell me I have to learn this Twitter thing?” they complain. They don’t like my answer! Of course, exceptions exist, especially in younger generations, and a few baby boomers like me who were early adopters of social media. Still, I sense most farmers want no part of social media. In Delaware, the average age of a farmer is 57. Average! Many are older. Today, almost all have smartphones. It’s great to have a telephone and a pretty good camera at the ready when you need it, but mobile devices are needed and used for weather updates and to access the wealth and breadth of terrific ag apps available on the market. In rural areas, home-based broadband is expensive and difficult to access and regardless of what the provider coverage maps say, a frustrating number of dead zones exist. Mobile phones are computers to go — often the only practical option to connecting to the Internet. So, we’ve established the tool is there. 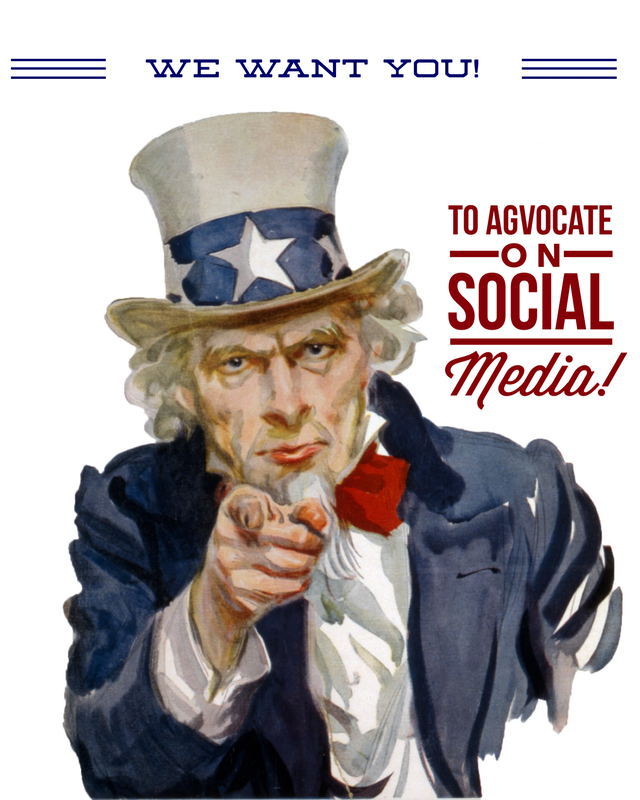 So why not advocate for agriculture, AKA “agvocate” with that mobile device too? If we could swipe those home screens, I suspect there’d be few, if any, social media apps. Yet the farmers I’ve met are a social people. Social to them means attending meetings, state fairs, workshops, churches, and restaurants. There’s nothing quite like that in-person, face-to-face contact. They’d rather shake your hand than click on a heart or a thumbs-up icon. They’ll stop by an office and leave a note with the receptionist, in preference over recording a voice mail message. This down-to-earth, wholesome way of doing business is admirable. There’s not a darn thing wrong with it. It’s a time-honored way of communicating and doing business. But there’s a new way to handshake on the block! Adopting social media isn’t meant to replace the way farmers communicate, but farmers need to add a layer of social media in their repertoire to reach the younger generation of consumers and future farmers. The new conversations are happening on social media. The many platforms that exist are the venues where children, teens, young adults, and consumer parents are getting their news and forming their opinions about every topic and product. Ideas are flowing through their hand-held devices and shaping attitudes. They are participating in chats, they’re sharing news and stories in record numbers and in lightening-fast speed. Often they don’t read or verify before they send and misinformation quickly spreads, yet is believed. Social media hasn’t been kind to agriculture. A trending fashion often trumps factual information. To balance the conversations, positive agricultural voices need to be part of this ongoing dialogue. Cue the Uncle Same WWII poster. We need you. We need you now! Here’s seven tips to keep in mind and get you agvocating! 1. Start by creating a social media account. For agriculture, in order of my personal preference: Twitter, Instagram and Facebook (pages) and for young agvocates, SnapChat are excellent choices. Pick one to start, get comfortable with it before adding any other platforms. 2. Make this account public. Agvocacy is all about reaching out to new audiences, people who don’t have a full understanding of your rural life, vocation, values and lifestyle. If you are locking or restricting your account, you are defeating the purpose of spreading your message and you will not be an effective advocate. The exception here are personal Facebook accounts. We’ll talk about Facebook in another post. If you already have a personal Facebook account, consider making some posts public when they can serve to agvocate without undermining your privacy. 3. Images and video are EVERYTHING. As social media currency, images are gold! 4. Share everyday content. 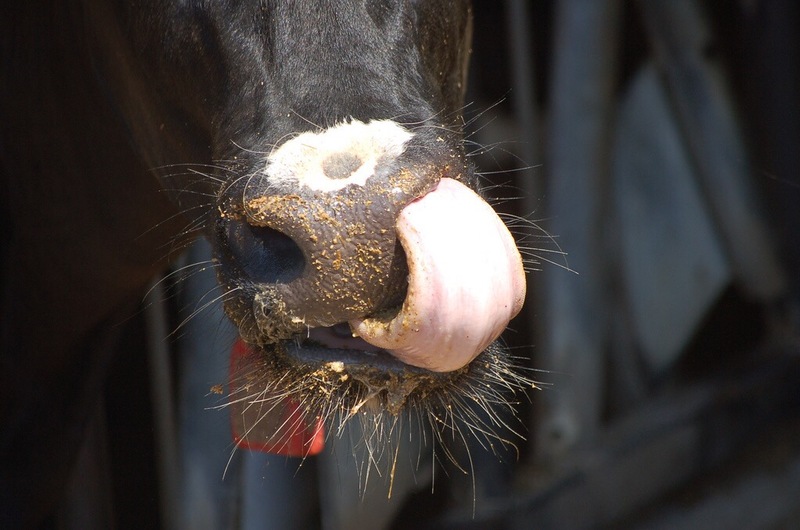 What is boring or routine to you is fascinating to others outside your farm! 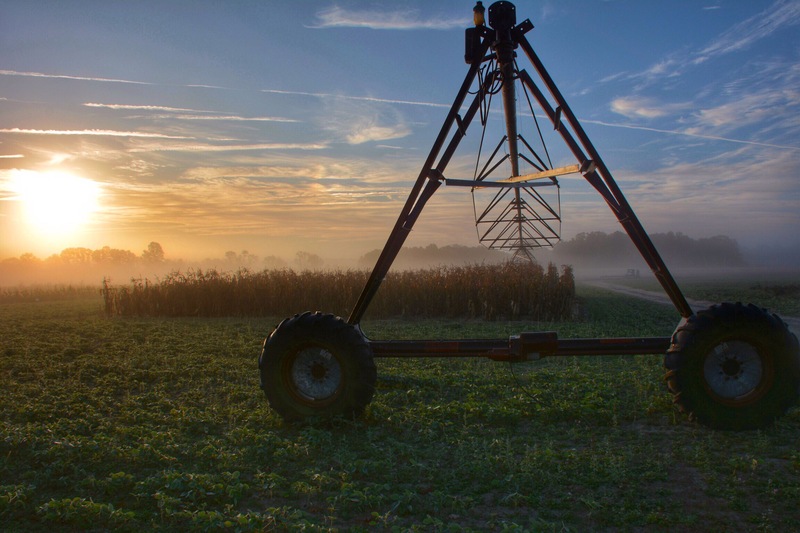 What does your farm look like at sunrise or sunset? What kind of crops or animals do you raise? How do you care for them? Tell the world a quick story. How old is that silo or barn? Share a vintage or retro photo of your parents or grandparents at the farm, or the first photo of the produce stand before it grew into a roadside retail store. Every image and caption you share is a mini-story with a human being behind the scenes, taken from a farm family perspective. What you choose to share tells the world a lot about your daily life as a farmer and the values that shape who you are. 5. Learn the technical vernacular of your social media platform. On Instagram and Twitter, it means you have to learn what hashtags and handles are and how to use them effectively. On Facebook and SnapChat, not so much. Do a little observation study before jumping into social media. b. Follow people who are talking about #food #dairy #corn etc., who else is talking about agriculture? You might come across content that upsets you or that you don’t agree with. Where can you lend your voice? c. Never fight or demonize the opinions which differ from yours. They are entitled to disagree. Instead, ask them about their concerns. What shaped their opinions. Do they have any questions for you? d. The Center for Food Integrity has terrific resources on how to understand consumer concerns and effectively talk to people about the food they purchase. e. Ignore trolls. They provoke. They are looking for attention. Don’t give them any. 6. Post content, but also engage with others, particularly those outside of agriculture. What does that mean? It means going to another social media account and sharing content you like on your account. Genuine conversations occur all the time on social media. Reply to what they’ve had to say, or what they have shared.There are real people on the other side! Converse with them. 7. Participate in what are alternatively known as “Twitter Chats,” “Twitter Town Halls,” or “Twitter Talks.” The best of these is AgChat, which is held every Tuesday evening from 8 to 10 p.m., EST. 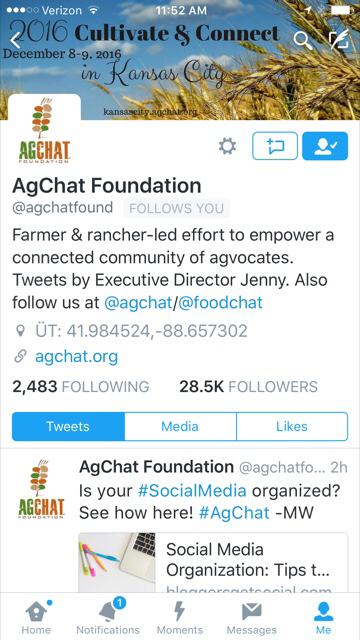 Search for #AgChat. Also look for other topics, which often follow predictably with #FoodChat #SoilChat #GardenChat #GroundChat. Like most things, social media has its pros and cons. While conversations can be superficial and silly, and easily shared without due diligence or thoughtful debate, a significant number of these networks are authentic and serious. The most successful participants do well because they are authentic. Talk, don’t preach. Don’t sell your opinion or product, share a story instead. Demographic trends point to social media as an influential mainstream media. It isn’t going away. Farmers, ranchers and growers ignore social media at their peril. Come join the conversation. We need you! Why a founding member of the anti GMO movement in Europe changed his tune. Mark Lynas, a trained environmentalist and strong anti-GMO activist, spoke before the Oxford, UK Agriculture Conference in January 2013 and caused shockwaves by apologizing to the agriculture community for his years of GMO (he uses the Euro term GM) activism. His reasons are thoughtfully delivered and deserve consideration when forming an opinion on this debate.